Go to Bibliographic > Products ⤴. The advanced search panel appears. Enter your search terms. Click the Search button. 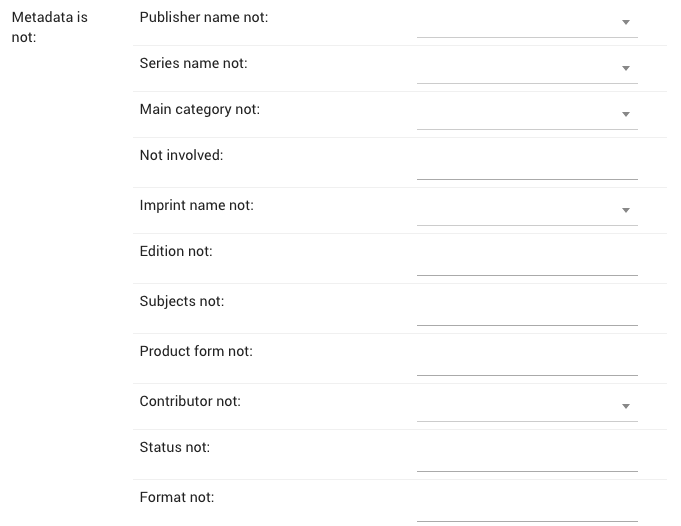 If you know the publication date (or a range dates), use the Dates section. If you know the ISBN or ISBNs, enter them into the ISBN section. This box takes a list of comma-separated ISBNs. If you know that the products either include or are missing something, choose from the drop down lists in the Presence section. 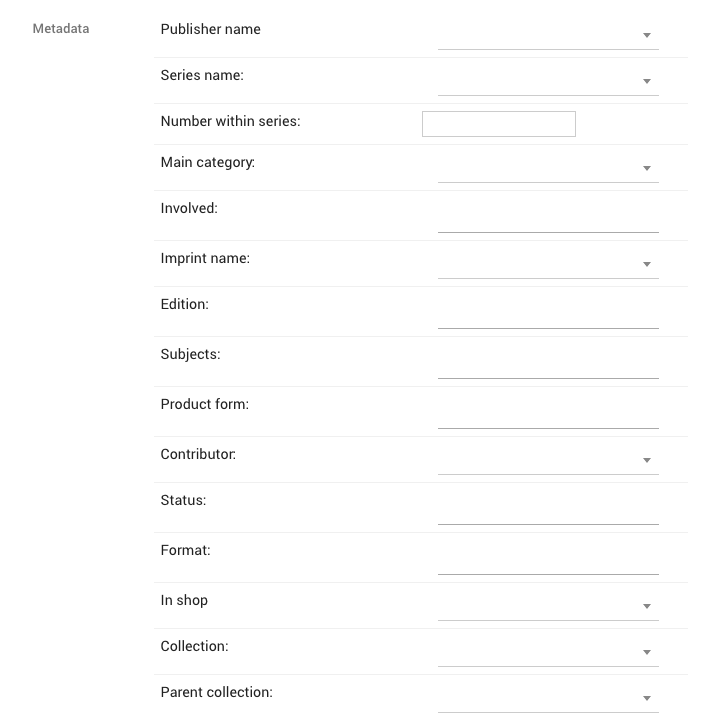 If you know a piece of metadata like the series, category, subject, contributor, format, choose it from the Metadata section. If you know that the products do not include certain pieces of metadata, use the Metadata is not section. Add more than one search term as you go, including it within the same field. Click the Search button to run the search.